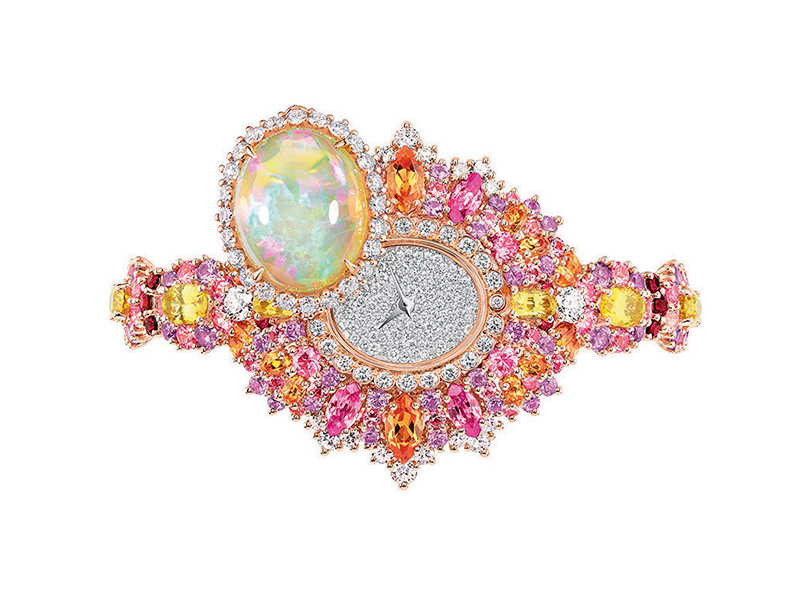 Surprising, sometimes bafflingly beautiful, the feminine timepieces unveiled at the beginning of this year have made an impact. The time display on secret watches is no longer elegantly disguised – it is now properly hidden, and our wrists look even more beautiful. It’s daring, but what a provocation is revealed! 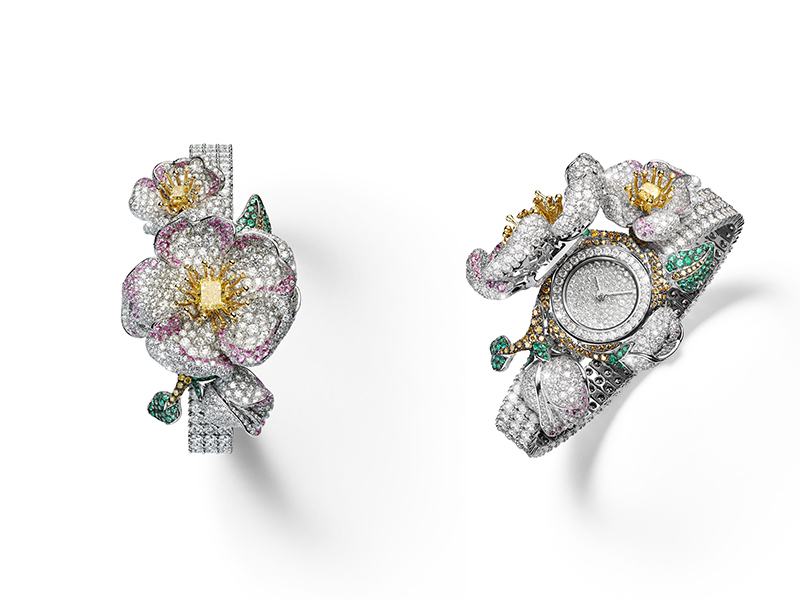 The Diamond Outrage is part of the trio in the series of pieces of fine jewelry designed by Audemars Piguet three years ago. 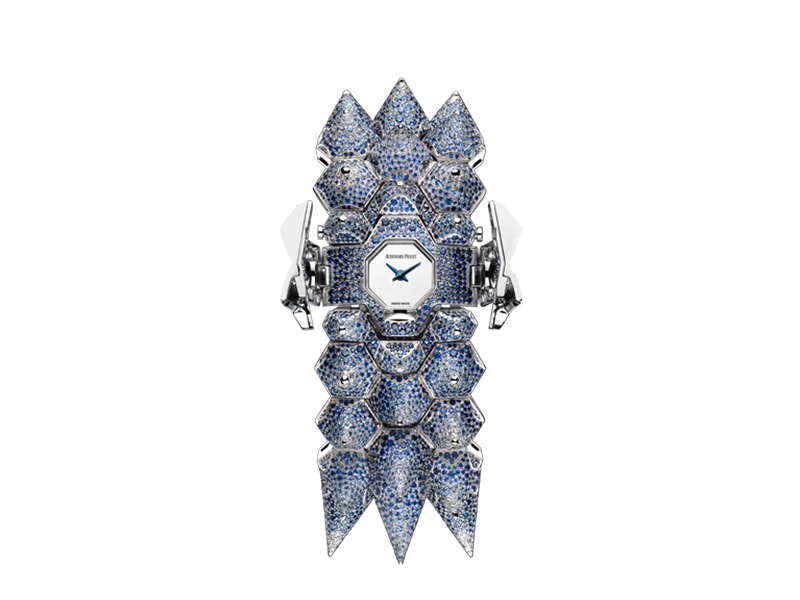 Offering protection or seduction, this conical wristband hand-set with 11,043 sapphires (65.47 carats of stones to be precise) divided into six shades of blue, now hides a clip (set with precious stones, of course) beneath the wrist which enables the wearer to open a window in which a little sapphire dial allows a glimpse of the time. This latest work by the watchmaker/jeweler from the factory in Le Brassus may seem aggressive to some, but certainly gives others a lot to think about. 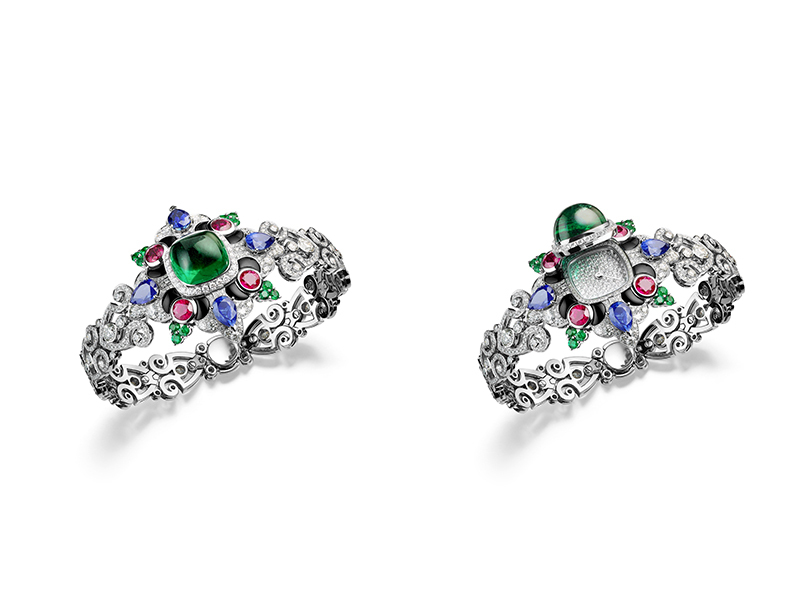 In 1998, Victoire de Castellane set her first stones in the House of Dior’s jewelry. 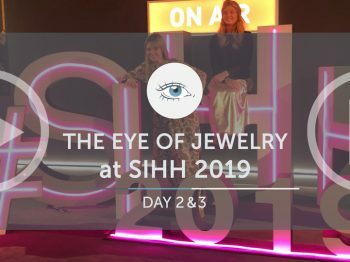 Described as a creative genius who loved colors, she imposed her style and her taste, but in particular, she was the first to use both opals and diamonds together. This year, she is using and abusing her favorite stone, devoting her latest collection to it: entitled Dior et d’Opales. 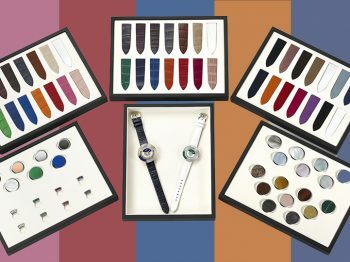 The collection comprises twelve majestic bracelets – or rather secret watches. They are crowned with opals, and set with stones that pick up exactly the fire of the colors of the black or white opal in the center. 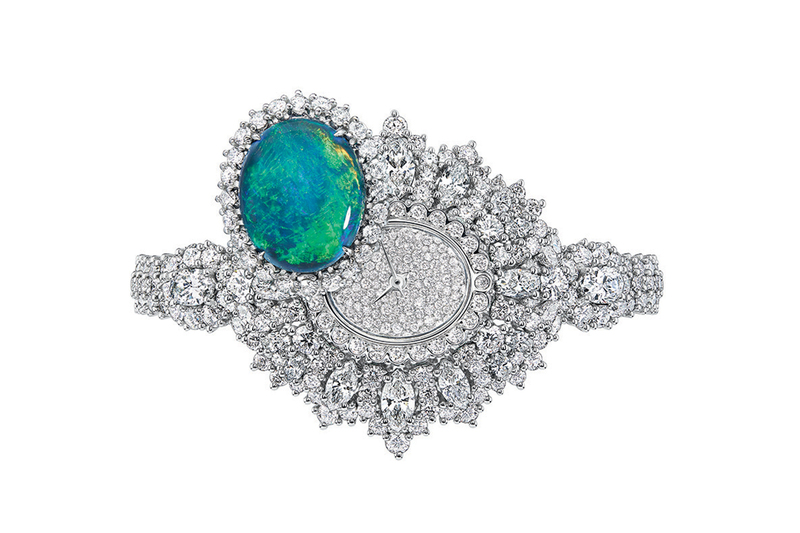 Sapphires, garnets, tsavorites, emeralds, rubies or amethysts are all combined in the decoration – real jewels that express the love that Victoire de Castellane has for opals as closely as anything could. of the group since 2002. Since he launched his eponymous high jewelry line, this creative artist, inspired by his Italian heritage, has not ceased to surprise. All his collections have been a real success. Acclaimed by the greatest, he is trying working on a watch for the first time. Three pieces in three different styles that are in the process of becoming three icons. 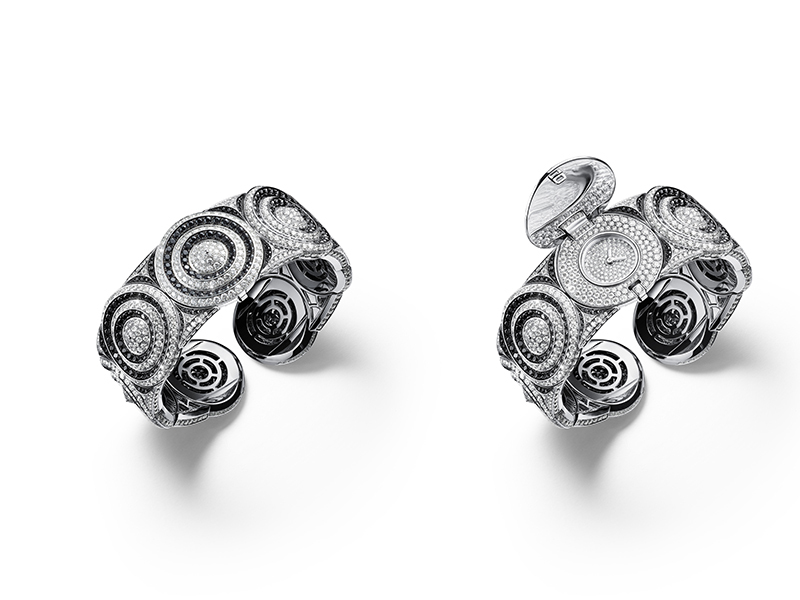 After all, why choose between a bracelet and a watch when you can have both? On the other hand, if the choice of a secret watch becomes too difficult, the Objet Extraordinaire from Van Cleef & Arpels is the solution. 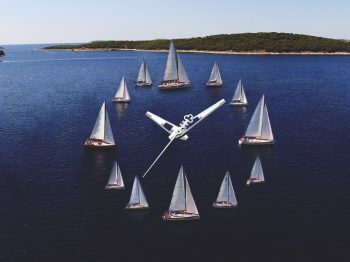 It took seven years to develop the Automate Fée Ondine – an object that tells the time, but when magic brings it to life (every fifteen minutes), you forget the main function. 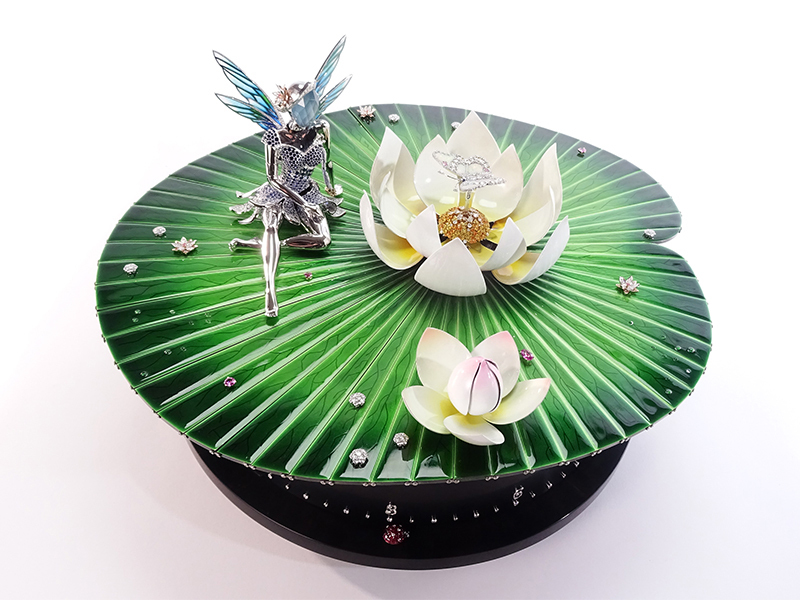 From the fully-articulated body of the fairy; to the rippling of the water lily; the opening and closing of the lotus flowers; or the beating of the wings of the butterfly set with precious stones; not to forget the movement of the ladybird with hidden baguette- cut rubies weighing less than four grams, this animated world becomes a sublime reality.